Property and housing will be the biggest expenditures of most peoples’ lives, while the next biggest expenditures for many people are their children’s’ education, and saving for retirement. Our property needs change with the stages of our lives, and if you are wise, you can turn your property expenditure into a property investment that will build your wealth and position you well for the next stage of your life, whatever that may be. Unlike the stock market, which can fluctuate day by day and hour by hour, the tangible nature of property brings a great deal of security to your investment. Using low-risk property investment strategies, mature investors can easily profit from either upward or downward real estate market condition. 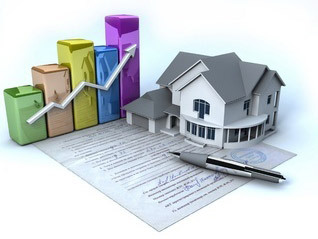 In an upward market buy and sell a property and you will receive a lump sum capital gain, which can be useful for preparing for your children’s education fund, for example. In a downward market, buy and hold the property and its monthly rental income will still be a steady cash flow, which can also become an important monthly income for your retirement. When the economy is booming, almost every type of property is growing in value, especially commercial property like offices and factories. When the economy slows down or there is a recession, apartment buildings and retail properties have higher resistance to devaluation. Property is an important aspect of our lives, and our relationship with property should evolve through our different life stages. Finding the right property at the right time to satisfy your needs can be the difference between a life of relative comfort and financial security, and uncertain financial footing. Property can be an incredible investment vehicle when you know what your purpose is, and you can understand market trends and how to strategize to benefit wherever the market goes. Contact me for professional consulting help to plan your investment strategies, so you can be sure you are on the right side of current market trends. Wherever you are in your process of growing your assets and preparing for the next stage of your life, I will help to clarify and take action on your goals. Take action on your goals, contact us! !